A spacious shopping experience, for ease of shopping with babies and smaller children, that even offers a nursing room! Products are delivered weekly so our inventory is always fresh and changing! Most of their products are also customizable and are able to be personalized! Labels can be specially made for Gifts, Weddings, Showers, Birthdays. 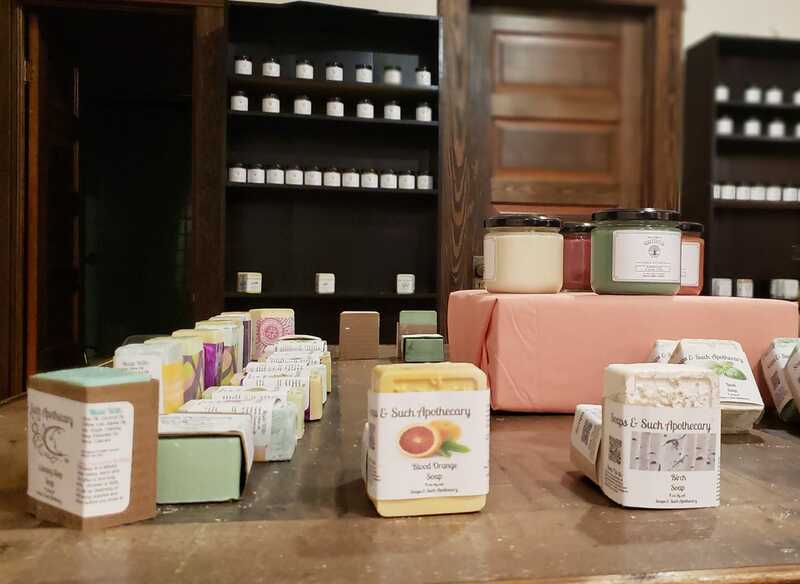 They also proudly carry Cedar Creek Candles 100% Soy Wax Candles that can double as skin moisturizers with delicious scents from Grabill, Indiana and Soulful Wear Apparel a mother/son owned business which is not local but provide top quality apparel from a family business point of view.